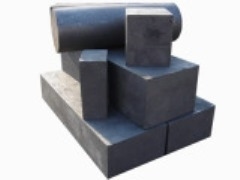 We manufacture Graphite Blocks and Rounds of various sizes, in all grades of Graphite. Graphite is used where the property of lubrication is required. Graphite is use in different kind of industries for lubrication purpose where the working temperature is high. Graphite Block material is used in Cement industries in Kiln plant where the lubrication is required. It is machined as per the drawing or size according to the requirement.